Honor your pet or loved one with the best. Our beautiful cremation urns allow you to remember and commemorate a loved one’s memory in a lasting way. 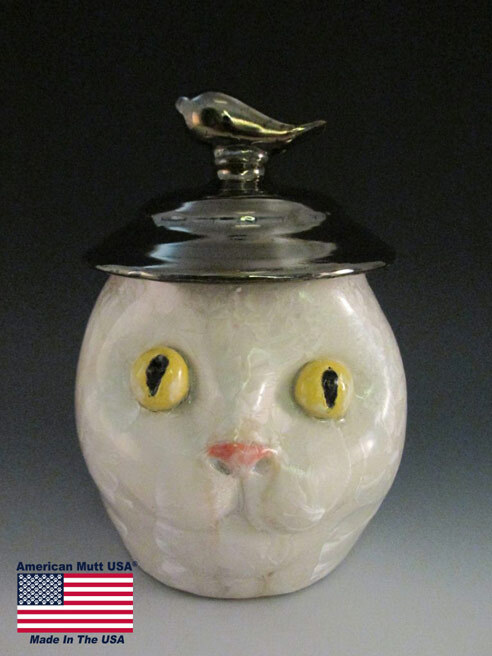 Hand sculpted and individually numbered, our artistic porcelain urns with copyright design provide a unique way to memorialize your pet or loved one. 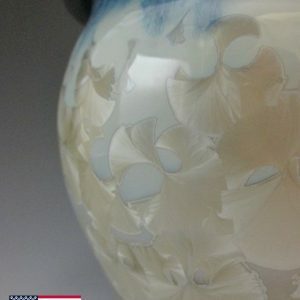 Our urns are exquisitely finished on the inside and outside with a beautiful glaze, providing a truly unique and quality tribute to your loved one. Made in the USA with limited availability. When you lose a beloved one, it is an incredibly emotional experience. 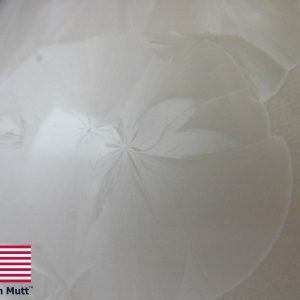 Crystalline Urn #140A Made in the USA makes it possible to honor your best friend with an urn as special, unique, and different as they. 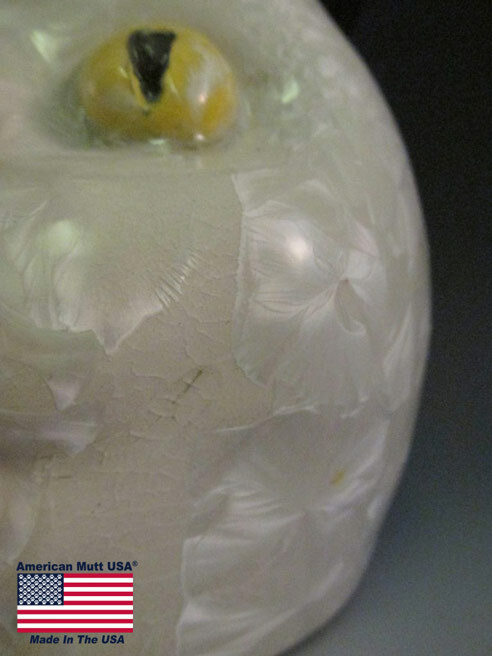 Created by our award-winning, published, and very talented studio potters, all American Mutt® urns are exquisite masterpieces, each featuring its own character, flair, and crystalline bursts. Glazed on the inside as well as the outside, each urn has a unique shape, color, and size. Serialized, registered and complete with certificate of authenticity, an American Mutt urn is sure to become a family heirloom. A memorial to honor your loved one that is as unique and individual as they. 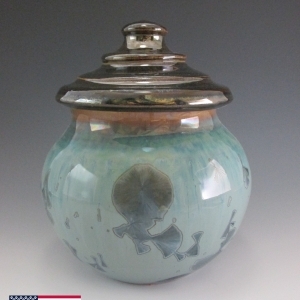 Our urns are completely made in the USA, hand thrown on a potter’s wheel, hand painted, and hand-delivered with love and compassion included in every step. 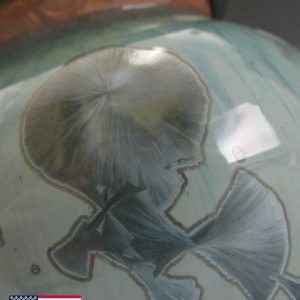 The crystalline process is unique within itself because the results are very random and unpredictable from piece to piece. 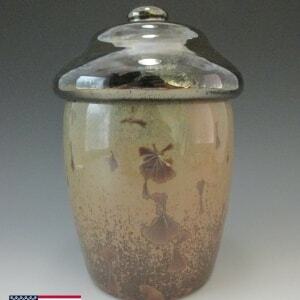 Through many years of experimentation, we have created a variety of colors and glaze recipes that blend well together and are rarely or never seen in crystalline pottery. 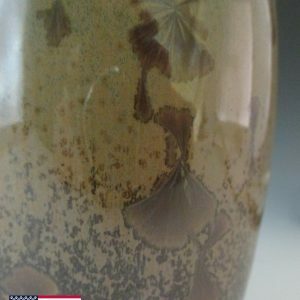 We also create forms that have not been traditionally associated with this extremely difficult technique, using our knowledge of the glazes to create crystals of definable and unique shapes. Stretching the limits between Art and Science to produce a one-of-a-kind Heirloom piece. 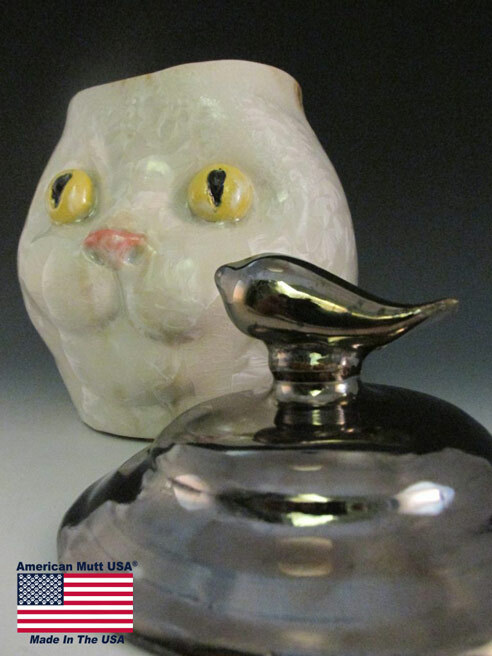 Our urns are suitable for small to large domestic pets and for loved ones that are shared among a family. We do not offer large urns that look like urns, in fact, our urns do not resemble a traditional urn, we are a beautiful piece of art that will be the center of any room, keeping our loved ones among us. 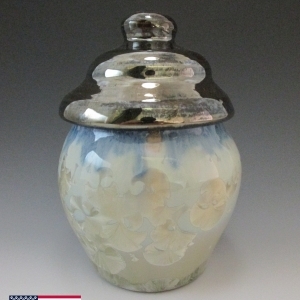 Crystalline Urn #140A Made in the USA may vary slightly as each is handmade and hand-painted. 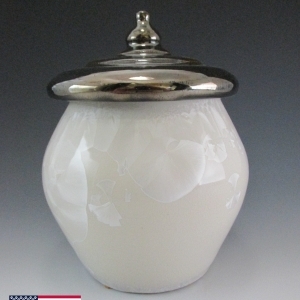 If an urn or lid arrives broken, we will gladly replace it. However, we cannot replace any product purchased second-hand.